At one time Swallowfield had four churches, the oldest by far being All Saints’, Papal sanction for the building of which was granted to the bishop of Salisbury in the year 1230. 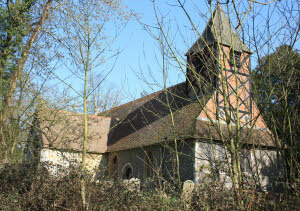 Swallowfield Church was built by Sir John Le Despencer, in 1256. Mary Russell Mitford, the author of 'Our Village' is buried in the north-east corner of the churchyard. 4th Sundays: 10.30am – Holy Communion (Common Worship). On 5th Sundays and for some other services the congregation joins with the rest of the benefice for a joint service at one of the churches at 10.30am. There is an active church choir which sings every Sunday and is also available for weddings and other special services. There is an active bell-ringing group who ring for services, weddings and other special occasions. They often share practices and some services with ringers from St Mary’s, Shinfield. Each year in June, a traditional church fete is held in the Mead House, Swallowfield, on the afternoon of the second Saturday in June and usually manages to raise thousands of pounds for church funds. In November a Christmas Market and Bistro is held at Swallowfield Parish Hall where customers can enjoy morning coffee and a delicious hot lunch whilst browsing the stalls for gifts, decorations, cakes and preserves. Services are held at St Mary the Virgin, Beech Hill, every Sunday, except when there is a combined benefice service in one of the other churches. St Mary’s has a church choir (contact John Lawes, tel 988 2526), a music group and on Thursday mornings there is a Bible study group in the village (contact Penelope Carter, tel 988 3714). 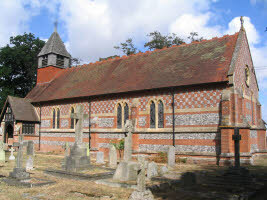 Services are held every week at St Mary’s, Shinfield, with very rare exceptions. The services usually follow the pattern shown below, but please check this month’s listings for the most up-to-date information. YAMS – Youth at St Mary’s in the church hall on the 1st Sunday of each month at 4.30pm. St Mary’s has a church choir and a team of bell-ringers both of which are also available for weddings and other special services. There is also a music band that plays at services such as at Christmas, If you fancy joining a choir, playing music or ringing bells, please contact us for further information. 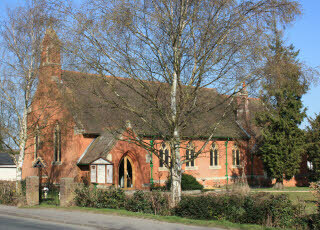 St Mary’s also hosts a group for toddlers and their parents or carers in the church hall on Friday mornings. There is no worship at this group but lots of fun. Contact Jean Leslie on 988 8642 for further information. St Michael and All Angels or St Michael’s as it is more usually known, is a friendly and vibrant family church serving the communities of Spencers Wood and Grazeley. It has an informal style of worship, with a mix of well-known hymns and modern music. 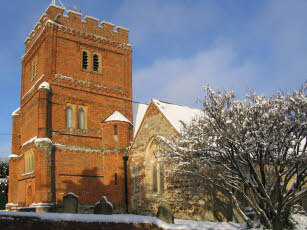 Sunday services are usually held every week at St Michael’s as follows. Tuesdays at 10am – a traditional communion service using the Book of Common Prayer with a short address. Wednesdays – The Upper Room gathering. An opportunity to discuss and explore the Christian faith with a small, friendly group from 7.45 to 9.00pm, followed by a short evening prayer service in the Celtic style from 9.00–9.30pm. Evening Prayer – Monday, Tuesday and Thursday at 6.45pm. • Junction Club – a club for adults of all ages. Refreshments, activities, laugh and chat. • Bring-and-share lunch – every 3rd Sunday at 12 noon in the church. Contact Yvonne on 988 2706. • Regular social events, exhibitions, concerts, etc. See Loddon Reach magazine for details near the event. The youngest of the benefice’s churches, St Michael’s celebrated its centenary in 2008. Since then it has opened a highly popular community cafe – Caf’Active – in the church, which serves teas, coffees, cakes, snacks and light lunches. It is also available for hire.